Sixty years ago, in 1955, the world had not yet seen the first laser -- it had not yet been invented. Fiber optics were brand new, there were no artificial satellites circling the Earth, no humans had been in space, and the first solar cell was in early stages of development as was the first video recording machine. Smartphone? How can a phone be "smart"? In that environment, a group of engineers working in optics and optoelectronics to build the first scientific cameras gathered in a restaurant in Hollywood, California, to discuss a shared challenge. They needed to use high-speed photography to solve design issues and create capabilities in industries from aerospace to communications and to advance research. But although individual labs were devising solutions that held potential for multiple other applications, there was no forum in which to share information. 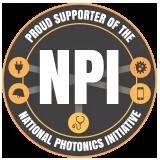 Their solution: the formation of SPIE, the Society of Photographic Instrumentation Engineers. ﻿﻿People often like to separate culture, art, photonics, and optics as completely separate fields. However, when we combine the four fields we can capture beauty that seems so surreal. Light plays a vital role accentuating hidden beauties, illuminating spirits, minds, and hearts in every culture. The advancements made in modern light technology has made it possible to highlight architecture, people, and objects. In the photo above John Danrev Bolus, has captured a “Night of Reflections” at the Sheikh Zayed Grand Mosque. Bolus is one of 32 contestants for the People’s Choice Award competition in the SPIE International Year of Light Photo Contest. Judges have already chosen three winners, but now it's your turn to choose one more. SPIE is providing a prize of US $500 to the People's Choice winner. Online voting continues through 15 August.